Here you can watch live Meerkat webcams located at zoos and other locations around the world. 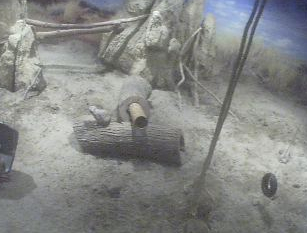 Sometimes, you might even be able to see Meerkats on cams in their natural habitat. The Meerkat (Suricata suricatta) is native to Africa and are the cute little critters you may have seen standing up in large groups or on Animal Planet’s show Meerkat Manor. This meerkat cam comes to you from the Cheyenne Mountain Zoo in Colorado Springs, Colorado and features a live view of the meerkat habitat at the zoo. This meerkat webcam updates once a minute. Watch the Meerkat Webcam at Cheyenne Mountain Zoo. Watch Meerkats on this live webcam with streaming video at the Peoria Zoo in Iowa. View the webcam. This is a still image Meerkat cam at the Seneca Park Zoo in Rochester, NY. Watch this Meerkat webcam. Watch Meerkats on this live cam with streaming video in this walled garden. They like to sunbathe in colder months under a heat lamp in this exhibit. Watch them playing, sleeping or perhaps on guard duty. Watch the webcam. This is an awesome Meerkat webcam that has live streaming video where you can watch a meerkat family living in an exhibit at the zoo. Watch the Paignton Zoo Meerkat cam. This is another excellent Meerkat webcam that has streaming video. It is located at the Maritime Aquarium in Norwalk, CT. Watch the Maritime Aquarium Meerkats. Another Meerkat cam can be found courtesy of the Metro Zoo in Miami. I’m not 100% sure if this is a streaming video cam or one that updates every few minutes. Watch the Metro Zoo Meerkats.